Dobrodošli na izboljšano verzijo MetaTrader 5! We have some exciting news for our Admiral.MT5 account holders and for anyone who has already seen the benefits of the MetaTrader 5 trading platform but has, until now, had to stick to using MetaTrader 4. The time to upgrade your trading experience is almost here! Effective from session opening on Monday 11 September, 2017, the Admiral.MT5 account will mirror all terms and instruments of our flagship MT4 Admiral.Markets account, which means that the majority of our clients will be able to take advantage of all features of MetaTrader 5, while still retaining access to their preferred markets. A reduction in the minimum deposits to respective levels of the Admiral.Markets account. Expanded coverage of markets, with all Forex instruments and CFDs on cash indices, commodities1, single shares, bonds and cryptocurrencies, which you can find in the Contract Specifications of the Admiral.Markets account. Improved margin requirements, with the increase of the maximum leverage on existing FX pairs and spot metals up to 1:500 (currently 1:100), according to the tiered Margin Requirements of the Admiral.Markets account. The removal of volume-based commission, which will be factored into spread, so that the typical spreads on all Admiral.MT5 instruments will be the same as those on an Admiral.Markets account. So, in other words, you'll no longer pay trading commission when trading Forex with MT5! A reduction to the minimum trade size for FX to 0.01 lots (currently 0.1 lots). An increase to the maximum order size for FX instruments to 100 lots (currently 50 lots). The enabling of the possibility of position hedging (currently, MT5 does not allow hedging/locking of positions)2. The MetaTrader 5 Supreme Edition plugin will be launched alongside the upgrade to the trading terms, further enhancing this super-advanced trading platform. Level 2 Pricing (Market Depth), which is naturally supported by MT5, will allow you to assess the liquidity and even anticipate possible short-term price movements. MQL5 – an astonishingly powerful language for programming trading robots, indicators and scripts3. 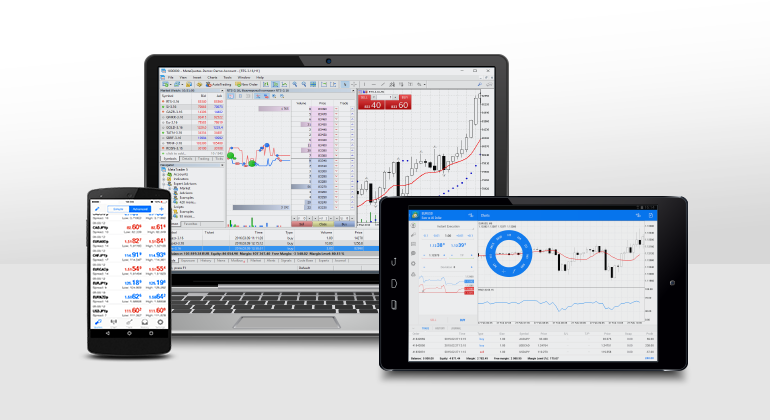 MT5 mobile apps for iOS and Android for trading on the go, as well as the online MetaTrader WebTrader, featuring full support of MT5 accounts. Our amazing Volatility Protection settings, which are currently available for MT5 accounts, will still be available! All of above will boost your MT5 trading experience from day one! This enhancement is the future of online trading, because MetaTrader 5, which retains the usability and the looks of MT4, is incomparably more advanced and feature-packed software, both on the client side and on the server side. This means that it's able support even more instruments, markets, exchanges and trading setups, with almost no limits on flexibility or scalability – and that's really good news for our traders! 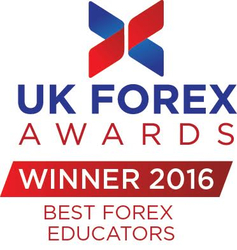 To sum up, we'd like to encourage you to start your trading journey with MetaTrader 5 today. While you wait for the launch, why not brush-up on your skills and practise with a free demo account? Please remember that you cannot sign-in to MT5 with your existing MT4 account (it's a different platform!) Should you decide to make the jump to MetaTrader 5, please be advised to open Admiral.MT5 account and transfer your funds internally, via your Trader's Room. Please note that existing instruments XAUUSD (Gold Spot) and XAGUSD (Silver Spot) on Admiral.MT5 accounts will be placed into 'Close Only' mode starting from the above date, and that all positions on these instruments will be closed at the last dealing price on 13 October, 2017. GOLD and SILVER instruments will be made available for trading on 11 September, as a replacement, with the exact same contract specifications, respectively. Please note that the position hedging function will only be available for new Admiral.MT5 accounts opened after 11 September, 2017. If you'd like to have access to the hedging function, please open a new Admiral.MT5 account via the Trader's Room after 11 September, 2017, and transfer funds internally from your existing Admiral.MT5 account. If the hedging function is not important to you and you prefer position netting, no action is required. You will receive all other improvements on your existing Admiral.MT5 account. Please note that expert advisors, indicators and scripts compiled for MT4 are incompatible with MT5 due to significant differences between the MQL4 and MQL5 programming languages. We encourage you to explore the resources at MQL5.com so you can possibly find a replacement for your MQL4-based solutions or, alternatively, make an on-site order for software development in MQL5 according to your requirements.